The protagonist of the story has always hated Christmas, not least of all because he was born on December 24th and named Santa. This Christmastime becomes complicated when a woman claiming to be a Santa Claus (her name is Mai) makes it her mission to cheer Santa up, leading to a blending of Christmas fantasy and romance. The OVA is focused entirely on Christmas, so seasonal items and such are plentiful, including Santas, decorations, a reindeer (named Pedro), and…fanservice? Celebrating the birth of Jesus – really! Mai and Santa say as much in the OVA. Shocking, but nice to hear in what’s a short and touching scene in which Mai says people are celebrating for the depressed Santa, as well. Of course, that’s just a short interlude between the overall theme, which is that it’s about happiness (not bad) and a magic, genie-like Santa that, in effect, takes the place of God (not quite on the dot). For all the corniness (a requirement for Christmas shows, I believe), badness (the show was pretty poorly received) and just plain wrongness (don’t get me started on Mai’s inflating breasts), the quiet moments of touching dialogue stand out and mark why Ken Akamatsu has gained a legion of fans (including me) and why he does Christmas like few others. Smart man. The second OVA was absolutely terrible. The first one I did like, regardless of public opinion, but Akamatsu is a very divisive figure in anime fandom — at least lately here in the West. Truth be told, the reason why I finally got into the anime fandom is because of Akamatsu’s Love Hina. That’s right. I said it. And I will not apologize for it. 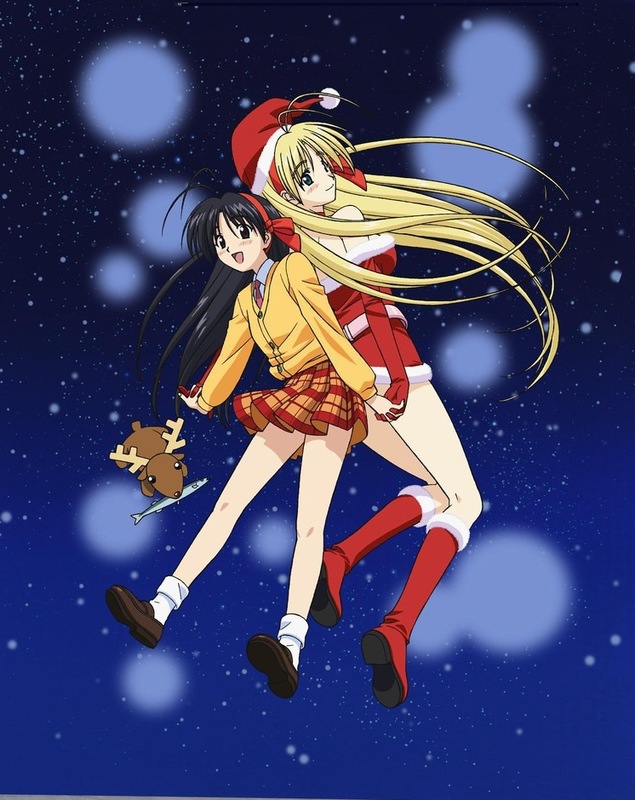 Speaking of which, is the Love Hina Christmas Special going to be one of your 12 Days of Christmas or are you just Akamatsu-ed out? No need to apologize for liking Love Hina. EVER. I freely admit it, too – I love Love Hina! The manga was a bit fan-servicey for me, but I still enjoyed it, and the anime, which I watched first, remains one of my all-time favorites. The tone, emotions, characters and humor are OFF THE CHARTS. I didn’t see this or have even heard of it until now, but I agree with you on Akamatsu doing Christmas episodes well. He has a knack for being able to tease you with what you completely expect to happen, which Christmas episodes tend toward, that payoff in the end that makes you feel good. That’s true – you know it’s coming, but it’s really HOW you get there that matters. He’s taken a familiar formula and pretty much mastered it. After that, everything would seem a little better in comparison.